With the increased amount of competition facing attorneys, online brand management has become a powerful tool, providing you greater control over your reputation online. Consumers are basing their decisions about which products and services to purchase from online reviews than ever before. According to a recent study done by PowerReviews, about six in ten online consumers say that customer-generated reviews online have had the largest impact on their selection of a particular product or service. The Internet is a forum you can use for discussion, giving clients a sounding board to blog, review, and publish positive information about you. The more positive information published about you, the better your online presence; the better your online presence, the better your online reputation. Controlling how others are able to perceive you and your business on the Internet will earn you credibility, increase client retention and bring in new business. Unfortunately, negative reviews and inaccurate information about businesses tend to circle the Web as well. If these negative reviews appear on the first page of Google, you have a problem. Knowledge is power. You need to know what is being linked to your name and business. Websites are the first step in establishing yourself as a reputable company. Blogging, articles, client success stories, and new developments at your firm can all help enhance your online reputation if placed on targeted websites. At Pristine PR, we know the highest-ranking sites that guarantee the greatest exposure. 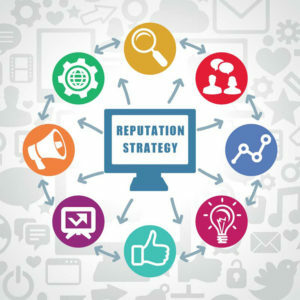 At Pristine PR we enhance your brand’s online reputation by publishing accurate and relevant information about you and your business. We develop and maintain your firm’s blog site with keyword-rich content, post positive client reviews, publish timely consumer updates, and create online business profiles through social networking sites. In addition, we add content to your existing website to promote new happenings at your firm and monitor reviews people are writing about your business on sites such as Google, Yahoo, Yelp, AVVO, Complaints Board, etc. We track down any negative reviews and combat them with positive ones! By requesting testimonials from satisfied clients and circulating these on popular review sites such as Google, Yahoo, Yelp, Yellow Pages and AVVO, is one of the many ways to further enhance your online reputation. When potential clients search for you online they will see positive feedback from satisfied clients reassuring them of your services, qualifications and customer service. So how do you go about gathering this information? At Pristine PR we use online survey software and questionnaire tools. Sites such as Survey Monkey, provide free online questionnaire and web-based survey solutions, allowing you to create and publish online surveys in minutes, collect the responses and view the results graphically in real time. Getting customer feedback is invaluable to any business. These survey tools can also alert you of negative reviews quickly and give you the ability to mitigate the situation, before a negative review can be written about your business. Staying in touch with what your clients’ value allows you to identify new trends and can have a substantial impact on expanding your client base. At Pristine PR, we focus on branding our clients’ image amongst the public and their peers through a variety of online medians. We carefully create customer feedback surveys and track their results, placing the responses on targeted sites which are guaranteed to attract our clients’ target audience. This is just one of the many ways we can enhance your reputation online. Call us TODAY to see how our online brand management strategies can help drive more traffic to your firm’s website and generate more business for your firm.